Periodic Symbols Periodic Table What is Chromium as on the Periodic Table? A lustrous, hard, steel-gray metallic element, resistant to tarnish and corrosion and found primarily in chromite. It is used in the hardening of steel alloys and the production of stainless steels, in corrosion-resistant decorative platings, and as a pigment in glass. Chromium does not tarnish in air, when heated it borns and forms the green chromic oxide. The Atomic Number of this element is 24 and the Element Symbol is Cr. Elements can be classified based on their physical states (States of Matter) e.g. gas, solid or liquid. This element is a solid. Chromium is classified as a "Transition Metal" which are located in Groups 3 - 12 of the Periodic Table. Elements classified as Transition Metals are generally described as ductile, malleable, and able to conduct electricity and heat.Nearly 75% of all the elements in the Periodic Table are classified as metals which are detailed in the List of Metals. Chromium was discovered by Louis Vauquelin in 1797 who was also able to detect traces of chromium in precious gems, such as ruby and emerald. 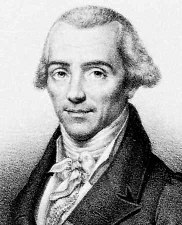 Nicolas-Louis Vauquelin also discovered Beryllium. Nicolas-Louis Vauquelin rose from being born as the son of a peasant to an eminent chemist. He started his career working in an apothocary shop and then he became the laboratory assistant of Antoine-François Fourcroy before becoming an authority in his own right eventually chemistry professor at the Paris Faculty of Medicine. Occurrence of Chromium. The ore from which all chromium compounds are made is chromite, or chrome iron ore (FeCr2O4). The element also occurs in small quantities in many other minerals, especially in crocoisite (PbCrO4), in which mineral it was first discovered. Chromium, like manganese, is very hard to reduce from its ores, owing to its great affinity for Oxygen. It can, however, be made by the same methods which have proved successful with manganese. Considerable quantities of an alloy of chromium with iron, called ferrochromium, are now produced for the steel industry. Properties. Chromium is a very hard metal of about the same density as iron. It is one of the most infusible of the metals, requiring a temperature little short of 3000° for fusion. At ordinary temperatures air has little action on it; at higher temperatures, however, it burns brilliantly. Check out Chromium on the Periodic Table which arranges each chemical element according to its atomic number, as based on the Periodic Law, so that chemical elements with similar properties are in the same column. Our Periodic Table is simple to use - just click on the symbol for Chromium as on the Periodic Table for additional information and for an instant comparison of the Atomic Weight, Melting Point, Boiling Point and Mass - G/cc with any other element. An invaluable source of facts and information as a Chemistry reference guide. The Standardised Periodic Table in use today was agreed by the International Union of Pure Applied Chemistry, IUPAC, in 1985 and now recognises more periods and elements than Dimitri Mendeleev knew in his day in his day but still all fitting into his concept of the "Periodic Table" in which Chromium is just one element that can be found. These articles contain facts and information relating to Chromium and each of the other elements including the Periodic Symbol, group, classification, properties and atomic number which is often referred to as the Periodic Table Number. Test your knowledge of chemistry and the Periodic Table by completing the Element Symbols and Atomic Numbers on our Blank Periodic Table. Chemistry students will also find a helpful section on Chemical Formulas.